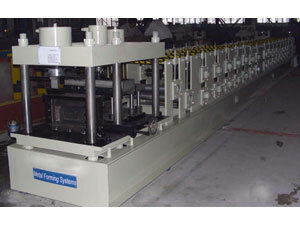 The C purlin roll forming machine uses pre-cutting, different from other shape roll forming machine. So it can be used for a longer time than after-cutting, reducing your cost. Moreover, about 500,000 times can be cut by this machine, while for other machines, 20,000 times is at most. Yingkou Changsheng Steel Structure Project Co.Ltd is a professional manufacturer and supplier of purlin profile roll forming machinein China. Apart from purlin profile roll forming machine like corrugated sheet roll forming machine840, deck floor roll forming machine, etc. we also offer auxiliary equipment products like automatic tube bending machine, plate bending machine, etc; high pressure polyurethane insulation painting machine including low pressure polyurethane foam machine and high pressure polyurethane foam machine; k-span machine, like automatic building machine, ultimate building machine and arch style buildings forming machine. With good quality and affordable price, the products produced by our company has exported Germany, Holland, India, Indonesia, New Zealand, Syria, United Arab Emirates, Russia, Kuwait, South Africa, and Bangladesh. If you are interested in our products, please contact us for details.